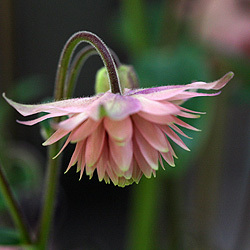 With many names Aquilegia Plants are also sold as Columbines and Granny's Bonnets. 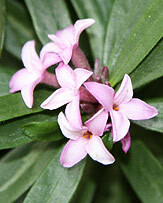 Whatever they are called, are a hardy herbaceous perennial that do well in a cool position, partial shade is best. Many named cultivars such as Aquilegia 'Barlows double' with beautiful nodding flowers are readily available for sale and some specific varieties are very popular and well known. Lacy fern-like foliage, preferring a soil rich in organic matter. But it is the beautiful and colorful, and sometimes spurred flowers that are the main attraction. Aquilegia require water during dry periods. A popular plant for cottage gardens where they will self seed. Aquilegia also make an interesting cut flower. Aquilegia plants, includes species such as formosa, vulgaris, longissima and canadensis as well as cultivars including 'Black Barlow', 'Blue Star' and McKana hybrids such as the popular McKana Giant. However, Aquilegia is a varied genus with over 50 species and many cultivars. 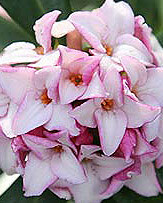 Some of the main differences are in terms of variety of flower form. The spurred varieties many derived from Aquilegia skinneri are very popular A. skinneri itself has wonderful red spurs and a yellow flush around the petals. Wonderful ferny foliage like many other types. We hear talk of these pretty perennials being short lived, flowering for only a few weeks, and although this is true of many, not so of all. Aquilegia skinneri is one that will repeat flower, not as spectacular as the first flush in late spring, but certainly flowers will appear through summer. We move on to the well known 'Barlows Doubles', hybrids that are very popular and a pretty flower in a variety of colours. Aquilegia chrysantha (Golden Columbine) is another spurred species with wonderful buttery yellow flowers. Aquilegia caerulea is varied in itself, blue and white spurred flowers however cultivars such as Aquilegia caerulea 'Rose Queen' with rosy pink spurs and white petals, large flowers as well. And of course Aquilegia X caerulea 'red hobbit' red spurs and white petals. If we look at how to grow Aquilegias, they are an interesting, but sometimes varied group. With most requiring a humus rich deep moist soil, but not all. Some species are of Alpine origin and will need a free draining soil to survive. A favorite in the garden border Aquilegia plants can be planted as seedlings, established plants or propagated from seed. Generally speaking aquilegia are drought tolerant and are certainly a colourful addition to the garden. Aquilegia can be grown from seed although many gardeners prefer to deadhead aquilegia after flowering to prevent cross pollination. 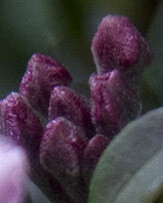 Nearly all are self seeding,and this is where propagation becomes a little difficult. The named cultivars may set seed, however they are unlikely to be the same as what you see on the packet if they are raised from seed. So what are the standout Aquilegias ? The Barlow strain such as Aquilegia vulgaris var. stellata 'Black Barlow' are a wonderful group with pom pom shaped flowers, they do not have the long spurs but the flowers are attractive and they are a group that are reliable from seed. 'Nora Barlow' is one of the best pink varieties. And Aquilegia longissima with its long spurs is a favourite yellow flowering species. 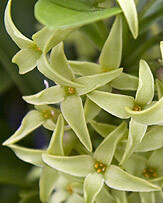 The chocolate colored A. viridifolia is another worth seeking out. Interesting species include the red flowering Aquilegia skinneri and Chaplins Aquilegiia with attractive yellow flowers Aquilegia chaplinii. 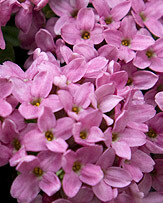 Offering a wide range of herbaceous perennials, ornamental trees,¬? shrubs and old roses; includes rare varieties and species and¬? well-loved classics; large plantsmans' garden.